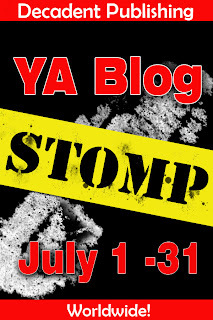 Reader Girls are participating in Decadent Publishing's YA Blog Stomp. If you haven't heard of Decadent Publishing and you're a reader, go check out their website now. 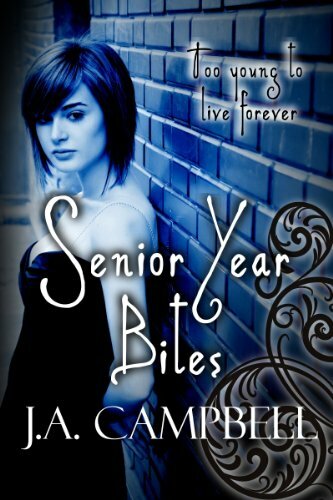 They offer so many ebooks in so many genres and their YA section has an amazing array of titles. we're sharing two titles we're reading before you check out the HUGE giveaway Decadent is having in addition to one giveaway for 1 book for those who comment below. 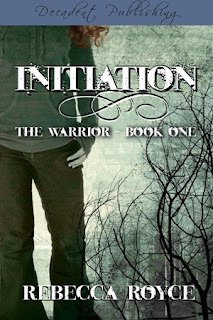 Initiation (The Warrior, Book One) by Rebecca Royce. Blurb: My name is Rachel Clancy. Thirty years before I was born, the world ended. Today is my sixteenth birthday. Today I will go Upwards to fight the monsters and, statistically speaking, I won’t be coming back—at least not still living. Rachel isn’t prepared for the level of deception she faces, and before long she will find herself on a quest she is in no way prepared to handle. What happens next will alter not only Rachel’s life but the lives of everyone she knows. She will learn beyond a shadow of a doubt that sometimes the monsters we know are worse than the ones we don’t and that love can surprise us when it comes from somewhere we never anticipated it. If she lives, she will be a Warrior. If she doesn’t, no one will ever remember her name. All I can say is this book is turning out to be an unexpected read (and that's great!) with a strong female lead. With a jam-packed paranormal market, this title is unique. 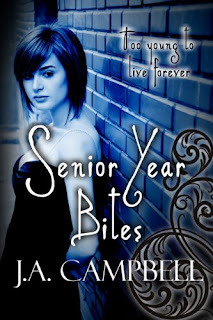 Blurb: Senior year is supposed to be fun: boys, dances and graduation. It's significantly harder to enjoy it when you're dead. Truth or Dare is supposed to be fun too. It's not even close to dangerous, so playing at Steph's house didn't seem like a bad idea. My dare? Spend the rest of the night in the graveyard next to her house. It was only a couple of hours until false dawn, my proscribed return time, so no big deal right? Right. I survived the attack, but it took me a few days to figure out what was going on. I mean vampires might stalk pop culture, but they're just myths. Yeah. Not so much. School is a lot more difficult when you're a nocturnal creature of the night. I was managing, but I couldn't keep it hidden from my friends for long. After I managed to accidentally save one of our cheerleaders from her drunk and ill-intentioned boyfriend. Steph decided that we should be cool, like superheroes, and fight crime. Only I'm a vampire, not a hero, and we live in a sleepy New England town, so crime's a little harder to come by. At least it is until a serial killer moves into the area. He's got the authorities stumped, but then again, the cops don't have a teenage, blood-sucking, non-hero on their team. Follow the Decadent Publishing YA authors as they travel around the world, giving away goodies along the way and collecting entries for our GIANT KINDLE GIFT PACK! Comment on as many blogs on the tour as you want, each day you comment counts as one entry into the Grand Prize drawing. *EACH COMMENT on our blog today is an entry for the big prizes. Winners will be picked from all entries on all blogs for the tour. *Reader Girls also has a daily prize of 1 Choice of 1 Decadent Publishing ebook'. 1 Kindle loaded with 6 Decadent Publishing Young Adult ebooks! 12 Decadent Publishing ebooks of winner's choice, 1 per month for 12months. 6 Decadent Publishing ebooks of winner's choice, 1 every month for 6 months. The books sound really interesting. Both goods sound good. I've been seeing good reviews o other blogs for both. I have both books and can't wait to read them! Both books sound really interesting; thank you for reviewing them. They're going on my wish list now! I definitely want to read these! I love reading about supernatural creatures. Both books seem like they will be great reads. I love how more and more YA books are coming into play with paranormal theme. Thank you for the insight on the new reads.